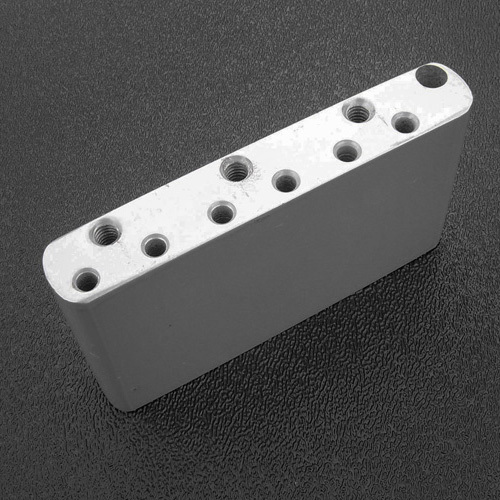 Genuine Fender® American vintage Stratocaster® LEFT HANDED tremolo block as used on American vintage and American vintage re-issue series Strat's. 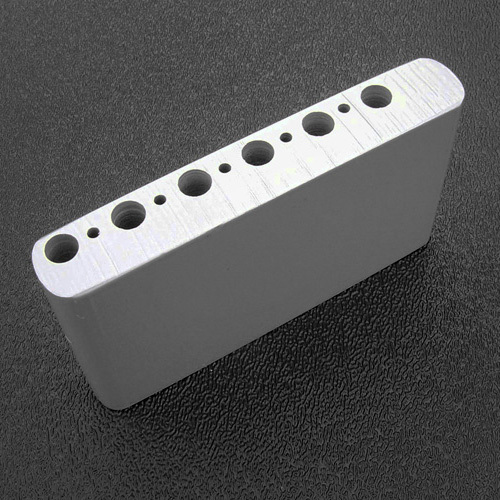 Cold rolled steel for authentic Strat® tone. Fits vintage 2-7/32" E to E string spacing. Accepts 10-32 threaded tremolo arm.